Now this is something that many beginning couponers are really curious about. Is it possible to get free food and items by using coupons? The simple fact is that yes, it is! Let’s talk about how this happens for couponers. Sometimes with the right coupon and the right special offer at the grocery store, you can go home with free food items. If you see a discounted food item in the grocery store circular, offered at a special price, you’ll want to check to see if you can find the coupon. Savvy coupon shoppers try to look at the circular for their favorite grocery store every week, to shop as many of the week’s sales as possible. When you match up coupons with these prices you get an even better deal. Keep in mind that the stores and manufacturers often realize they are giving you this unique opportunity. They are well aware of how much their coupon is worth and the price of the food item. So they know that when people come in with this coupon to shop for it, those shoppers will be walking out with free to very low cost items. For these manufacturers and grocery stores, they know occasionally offering a special price such as this gets people excited and tempts them into trying a product. Sometimes people will try a product they typically have not otherwise. It may become a new favorite. If you are good with coupons, then you’ve become accustomed to learning how to line up the store’s sales cycle with both store and manufacturer’s coupons, to get items at the lowest prices possible. While they may not be free, you certainly are putting money back in your wallet. 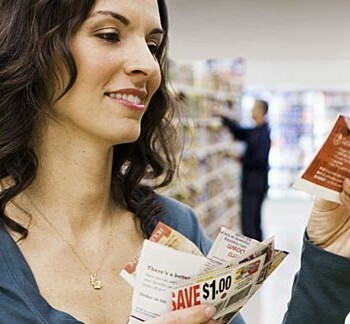 Getting into the practice of being a skilled couponer will help you keep an eye out for any opportunities for free items that will be offered when you have the manufacturer’s or store coupon. Keep in mind that just because an item is free, does not mean that you should always get it. Let’s say a popular fruit flavored juice drink is on sale and then with the coupon it is free. But your family doesn’t drink this and you don’t think it’s going to be something they are going to want to try. The next thing to consider is do any of your family, friends or neighbors use this product? You may have seen it in their kitchen or on the dining room table when you’ve been at their home. If so, then pick up the item and give it to them with a smile. If the item is one that you want to donate to the local food pantry or charity, then consider buying it (free item) to donate. But if the item does not meet any of those qualifications, then leave it in the store, for some other savvy coupon shopper to buy. The start of a new season (spring, summer, fall or winter). Holiday time, especially Thanksgiving, winter holidays and the 4th of July. If the store has a birthday or anniversary celebration for being in business. So, keep your eye out for free items! With your couponing skills, we know you’ll find them!